Competitive outlet and friendship. I have always found that those in the running community are closer from a goals and values perspective to me personally than other groups with which I associate. We are all fitness oriented and take care of our bodies, but most like to have a good time and celebrate with a beer at the finish line. Finishing the series of hills (Heartbreak) in my first Boston Marathon and asking a spectator “how much farther to the tough hills” (only to be told that I had just completed them). I had started very conservatively, because I had missed a bunch of training leading up to the race, and truly didn’t notice the hills. 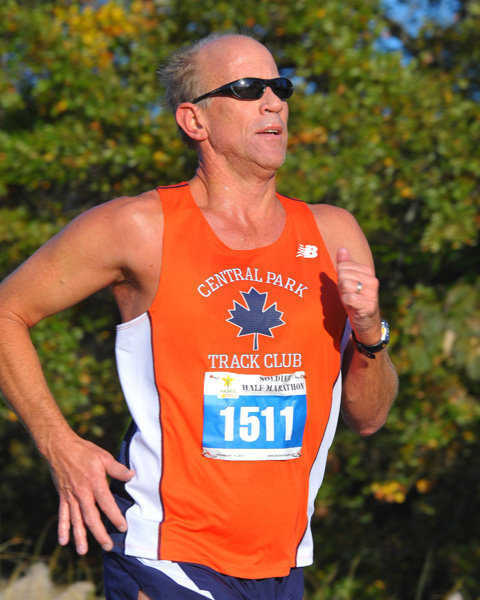 Lesson: you can’t bank time by starting our fast and holding on – all of my PRs above 10K were negative splits. Having already achieved all of my personal goals, I am interested in seeing some new race courses and helping others achieve their personal goals. 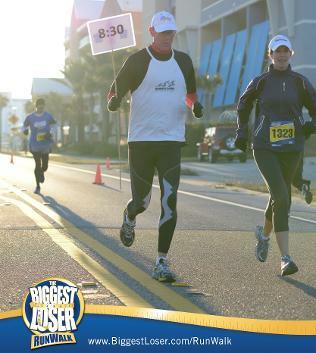 Pacing the Biggest Loser Half Marathon in Panama City Beach, I caught a runner who had started with my group, but picked it up in the middle stages of the race. As she started to fade, we caught her with a half mile to go and she was able to re-group and run in with us to achieve her original goal. With nearly four decades of running behind me, I have likely experienced almost every condition, emotion or set-back imaginable, so can hopefully pass along that knowledge to encourage individuals to work through anything they may be experiencing along the route. Although you are running in a group, I would encourage you to run your own race. Some runners draw energy from the group and like to stay right in the thick of things, and others feel pressure by running in a group (subconsciously benchmarking themselves against others) and like to lag a little behind and just keep tabs on the group until the final push. Run smart, but run your own race. Help organize an annual 10K race on Thanksgiving (that my wife directs) for the benefit of local charities in the Panama City Beach area, including a paralyzed local firefighter.